We are looking for candidates who are able to teach our students the basic performance skills within their discipline as well as build confidence in a safe and supportive space. Teachers will be expected to prepare material for demonstration classes and an end of year show. We will also endeavor to give our students every opportunity to perform at external events. If you have the enthusiasm and determination to bring out the best in our students, then please do apply. Applicants will need to obtain a WWCC and commit to our Child Protection policy. 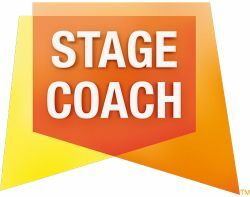 Stagecoach Performing Arts is the largest network of part-time performing arts schools across the globe. Founded in the UK 30 years ago, operating across 9 countries, we now teach over 45,000 students worldwide every weekend during term time. Open to all young people aged 4-18 years, students learn the skills to sing, dance and act during weekends and early evenings. Classes for our main stage students last for three hours, giving our young people an hour in each discipline. Hi Alison, Reach more people by sharing this job with your network. Get updates on latest Education & Training Jobs in Australia - Perth.